Low or moderate radiation doses and dose rates are harmless, but the public health effects of a misunderstood accident like the one at Fukushima are dangerous, to individuals and to the society and economy at large. Perceptions of the health threat posed by the released radioactivity have been magnified by overly cautious international "safety" standards. The consequential collapse of confidence and widespread fear are unrelated to the physical effect of the radiation on human life. Contrary to the view expressed by the recent NAIIC Report this is a significant international problem, not a purely national Japanese one. The bombing of Hiroshima and Nagasaki provides a historical explanation of the visceral reaction of the Japanese nation to the Fukushima accident. However, a dispassionate view from elsewhere may clarify some obscured fundamentals. The NAIIC report on the accident, published in Japan in July 2012, fails to separate two issues, the accident that destroyed several nuclear reactors and the severe danger to public health caused directly by the radioactivity released into the environment. The first happened, but the second did not. Within a couple of weeks it was evident that the risk to life from radiation was small. No increase in cancer death is expected in the next 50 years and in fact no death has been recorded to date. This article provides a scientific explanation which contrasts the behaviour of human society faced with a radiation accident and the biological reaction of the human body to an attack by nuclear radiation. The NAIIC report is wrong to suggest that the mishandling of the Fukushima accident is solely a Japanese failure; it raises questions for all mankind. When the earthquake struck there were 500,000 people in the region subsequently inundated by the tsunami and within 26 to 45 minutes, all but 18,880 managed to escape or survive, a truly remarkable achievement. But the training and understanding of the Japanese people that was evident for the tsunami was absent for the released radioactivity and its radiation. Faced by an unknown threat, nobody knew what action to take, and few in authority knew either, so that rumour and panic, extending to the highest levels, lead to serious social harm, widespread flight, failed businesses and losses of confidence in society and nuclear power. This failure of society to cope with an accident, for which no loss of life has occurred or is expected, is strange. Fear of powerful energy is a protective animal reaction, but man has survived dangers through study, understanding and mutual organisation -- although not in the case of radiation and radioactivity. Why not? Nuclear and its associated radiation are indeed powerful, a million times more energetic than chemistry. If it could be released, the energy from a kilogramme of nuclear fuel would be about the same as from a thousand tonnes of fossil fuel. This would be alarming if it could happen in error. However, because each maintains a celibate existence isolated at the centre of its atom, nuclei never encounter one another (except at the centre of the Sun where the temperature is so high that once in a few billion years one nucleus meets another). On Earth, since it was formed six billion years ago, only one nucleus in a million has changed at all, and then only by decay. These decays are so rare that their existence lay hidden until radioactivity was discovered in 1896. Unlike fire or biological hazards, radioactivity cannot be caught or spread by contagion, and eventually it diminishes, unlike chemical agents. So nuclear energy remains firmly locked. The only key to releasing fresh nuclear energy is a flux of neutrons; but these are unstable and only exist inside a working nuclear reactor, decaying away in a few minutes. At Fukushima these key neutrons were absorbed as soon as the earthquake was detected and there were none in the fuel ponds anyway. So it is difficult to imagine ￼that nuclear energy could possibly be physically more secure. That leads on to the question "What happens when radioactivity, and the radiation that it emits, meet living tissue?" A radioactive atom is indistinguishable from one that is not radioactive, until its nucleus decays emitting radiation -- so radioactivity simply represents a source of radiation delayed. Particularly for radioactivity absorbed in the body or the environment this delay may make hidden radioactivity seem insidious and dirty, but biology tells us that radiation is less, not more, harmful if it is delayed and spread in time. Once unleashed ionising radiation can be absorbed by any material, and molecules are smashed indiscriminately where this absorption happens. Biological molecules are particularly delicate and seemingly at the mercy of radiation -- but they are equally at the mercy of mundane chemical oxidation and thermal disruption. The survival of life is the sole business of biology, and, unsurprisingly, it has evolved many repair and servicing mechanisms whose only function is to stabilise life against these attacks. All the principal features of cellular biology are designed around such protection. The simpler mechanisms are now understood by biologists, others are being slowly unravelled, including the action of the immune system. 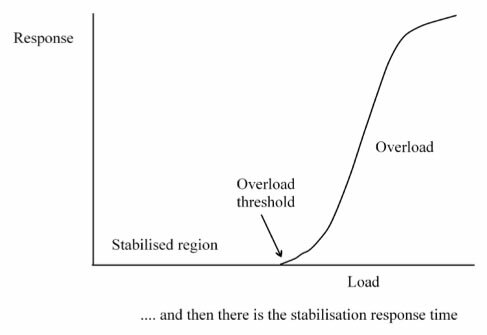 As a result the medical harm (response) from a given dose (load) follows a curve, Figure 1, similar to any other stabilised system with feedback or repair, in biology as in engineering or electronics. For a small dose there is no harm -- only above a certain threshold dose does the stabilisation fail and the curve start to rise. This stabilisation takes a certain time to respond and is only vulnerable to overload by high doses accumulated at shorter intervals. Over longer periods the stabilisation is effective and doses do not contribute cumulatively to departures from stability. Much Japanese technology exported to the world relies on such stabilising features. Does such a picture apply for radiation? In the Appendix simple modern data are used to show that this is true and that conservative thresholds for harm can be set at 100 mSv for any single dose and at 100 mSv per month for multiple or continuing exposures. Any lesser dose or dose rate should have no negative health effect at all -- not even a little bit, for in a stabilised system little bits are corrected and do not stack up. - Red, a radiotherapy dose to a tumour, fatal to all cells, 40,000 mSv per month. - Light red, a radiotherapy dose tolerated by peripheral healthy tissue, 20,000 mSv per month. - Green, a suggested conservative safe dose, 100 mSv per month (AHARS). - At the point of the arrow, current ICRP "safe" dose, 0.1 mSv per month (ALARA). How different are these thresholds of measurable risk from the environmental radiation safety regulations applied at Fukushima? Figure 2 depicts monthly doses as areas. 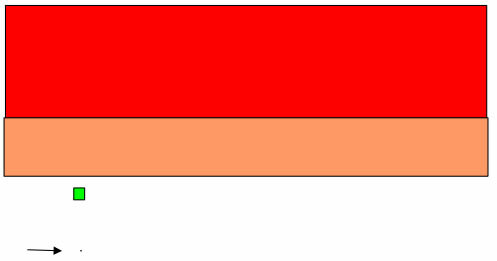 The red rectangle is a radiotherapy cell-killing dose given to a tumour. The light red rectangle is a radiotherapy dose to peripheral tissue from which members of the public usually recover and return home thankful for the treatment (more in the Appendix). The green rectangle is the safe monthly dose rate discussed here, As High As Relatively Safe (AHARS). The area of the small dot is the public safe limit recommended by the International Committee on Radiological Protection, ICRP Report 103, 2007, recommendations aimed to be As Low As Reasonably Achievable (ALARA), that is 1 mSv per year. This ALARA figure is 1000 times smaller than any danger level (AHARS) -- a discrepancy that can give rise to major misunderstanding. For example, on 5 April 2011 the Tokyo Electric Power Company (TEPCO) announced that 11,500 tonnes of water contaminated by 100 times the radioactivity regulation level would be discharged into the sea, but that this presented no health hazard. Understandably, the Japanese people and others did not believe these apparently contradictory statements, resulting in further loss of trust. But the inconsistency was not the fault of TEPCO, not the fault of anybody at all in Japan, but the fault of international ALARA-based advice. The NAIIC Report has mistakenly taken an insular Japanese view of an international problem. At the time of the Cold War fear of radiation was an important and effective international political weapon. Many people in democracies expressed their concern by marching, demonstrating and voting for a radiation-free life. That is the motivation behind ALARA which makes no reference to any actual danger level -- the use of ALARA as a safety philosophy is the fault of everyone in the world, then and now, who pressed for a radiation-free existence. At a national level, in Japan as elsewhere, official regulations are effectively obliged to follow the ALARA-based "safety" recommendations of ICRP. So what were the consequences at Fukushima? The impact of the actual radiation and the released radioactivity for workers and public have been zero, as expected on the above criteria. In the next 50 years there is unlikely to be more than one single case of radiation-induced cancer, buried among all the other "natural" cases. There were superficial beta-burns, but no significant hospital casualties. In the first few days when information was scarce, evacuation was appropriate while questions of re-criticality were checked out, but within a couple of weeks it was suggested that residents should be encouraged to return home without risk. It would have been good for them if they had done so. Restrictions on the contamination of food by radioactive caesium were set at 500 Bq/kg in July 2011. At this level the personal consumption of 1 tonne of contaminated food in four months gives a ￼less hazardous dose than a single CT scan. This food restriction had a catastrophic impact on the rural economy and on the confidence of mothers for their children; the same was found in Scandinavia after Chernobyl where a similar restriction was relaxed to 6000 Bq/kg after six months. However, in Japan driven by anxious parents the restriction has been tightened to 100 Bq/kg (April 2012), thereby escalating public concerns and further eroding trust. Appeasing fear is not effective and the consequences are well known. It causes, not only a collapse of confidence in the structure of society, but also a public health disaster due to stress, resulting in suicides, alcoholism, hopelessness, depression and bed-wetting. The IAEA 2006 report on the health consequences at Chernobyl describes a similar effect there, but it has been largely ignored in Japan. The effect of closing nuclear power stations in response to public fear in Japan, and prospectively in Germany too, is having serious effects on both the world economy and the world climate through the use of substitute fossil fuels, all without reason or understanding. The Fukushima accident has been designated "Level 7 on the INES scale" which has increased alarm without substance or benefit. Although talking up danger may control popular sentiment and be attractive to politicians on occasion, it causes social stress and suppresses economic confidence. For human society to work effectively there needs to be mutual trust. Science is not sufficient on its own, and a working appreciation of the world around us requires a two-way dialogue leading to trust, especially on less familiar science. 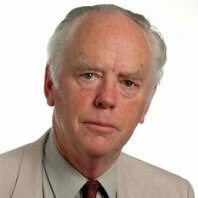 The point was emphasised in the Report of UK House of Commons Science and Technology Committee 9 July 2012. Explanatory education and discussion are required to build confidence, in nuclear radiation as in other aspects of life on Earth. At the time of the Cold War nuclear science was seen as intimidating -- and people avoided it. But a useful appreciation of radiation is not especially difficult to grasp, although some scientists, anxious to preserve their patch, prefer to emphasise that it is "complex" and "sophisticated" and build their careers sheltered behind screens of expertise. In the 17th, 18th and early 19th Centuries authoritative knowledge was broad, but unfortunately today society encourages narrow expertise that unnecessarily reduces the overall visibility of an interdisciplinary subject like nuclear. The required trust may be achieved, not by imposing top-down authority and compliance with regulations, but by establishing devolved responsibility. Some relevant examples show how trust that is built on de-centralised involvement can work quickly and effectively for the general good, even if the technical aspect of the risk involved is not fully understood by all those concerned. The efficacy of the personal reactions of the Japanese people triggered by the earthquake on 11 March has already been remarked and admired. Responsibility devolved to individuals was essential to their speed of action. Nature has found a similar answer in the provision of protection to living cells attacked by radiation and other agents that often damage the molecules of life. Cells have evolved a long list of design features and active repair mechanisms. Chemical messages are sent between cells to enable them to fire-fight together and mechanisms are stimulated and resources readied in case of further assaults (hormesis). But the brain is not informed -- one can imagine anthropomorphically how cells might agree that they do quite well on their own without micro-management by "head office". Indeed, as the experiences at Chernobyl and Fukushima have shown, the brain does not know what to do in its attempts to help, except excite panic with other brains. "Why bother", the cells might say with justification, "our local radiation protection provision is far superior to anything ever put in place by conscious human action." And that is true for all but the highest doses and dose rates. That is why no one died from radiation at Fukushima. On this view radiophobia may be seen as an affliction of the "worried well". Figure 3. A poster advertising the availability and benefit of scans using internal and external sources of radiation. The (quite harmless) radiation dose (10 mSv) from a single scan exceeds the dose received by eating 5 tonnes of food described as "contaminated" (100 Bq/kg caesium-137) by the Japanese regulations introduced in April 2012. Figure 4. 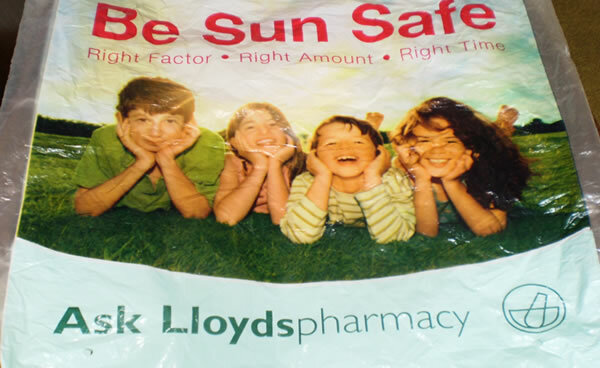 A plastic carrier bag giving simple accessible advice about personal responsibility for safety from ionising radiation (ultraviolet in sunshine). The advice engages with enjoyment of life and common sense, not official safety regulations. Use of radiation in medicine, discussed between patient and doctor, one-to-one, is a positive context in which to learn of the benefits and risks to life. The dose from a single scan, either with external radiation (CT or CAT scan) or with an internal source (SPECT or PET scan) is about 10 mSv. That means that, provided scans are not repeated more than twice a week, they should be harmless -- but nobody should need so many anyway! 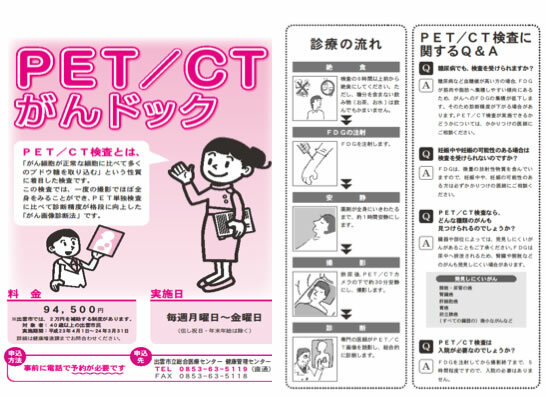 Figure 3 shows a Japanese poster explaining such scans in simple terms. It is not difficult to appreciate that the radiation, both internal and external, is just like the radiation from Fukushima. Just two scans a year gives a dose, 20 mSv, as large as the level that made so many frightened near the evacuation zone. If everyone went home, nobody would get a dangerous dose. If the connection with harmless medical doses was explained, not by TEPCO or government officials, but by doctors, teachers and others in the community who are trusted, the current radiation levels would be accepted. Figure 4 shows a plastic shopping bag provided by a high street pharmacy in the UK. The picture of children enjoying the sunshine carries sensible advice about avoiding sunburn. Sunshine, the imperfectly filtered radiation sent by the Sun, a nuclear reactor, includes ultraviolet. This radiation can kill skin cells. and cause skin cancer years later, much like other forms of ionising radiation. The difference is that most people have learnt to treat it with respect but still enjoy their summer holidays. In particular by reducing the rate of exposure and waiting for adaption after a few days, risk is reduced as with nuclear radiation. The children learn about it and reminders are written on the bag which is not a product of international, or even national, top-down regulation. Other people take their vacations at spas offering radioactive waters and they too return home refreshed and none the worse for exposure to radiation. These examples show that public attitudes to radiation are more accepting than the media and the more vocal activists would have everyone believe. Highways are a well known source of accidents but with the benefit of instruction we have learnt to handle the dangers. Of course, when we drive in the car, there is a place only a few metres away in the path of oncoming traffic where we do not go -- it would be fatal if we did. That does not mean that others may not travel with us. Responsibility is devolved to the conscious control of the driver. Unfortunately, there is no contribution at all towards safety from biological evolution like there is for ionising radiation. We were not always so relaxed about road traffic. In the early days serious accidents were relatively common and regulations very restrictive. Nevertheless in 1896, coincidentally the year in which radioactivity was discovered, the Red Flag Act was repealed (in the UK) and the major economic benefits of road transport were embraced. We should take a similar adult view in the case of nuclear technology today for the same reason. The economy needs it, and it is far safer than road transport too. There is no limit to the size of a possible natural disaster and it seems strange that in Japan it is thought reasonable that blame should be given for the consequences of an earthquake and tsunami as extraordinary as that of 11 March 2011. While other buildings and plant, such as a major oil refinery, were completely destroyed, seemingly without public comment, the nuclear reactors almost survived an assault far greater than that which they were designed to withstand. The workers at the plant showed quite exceptional courage and dedication to duty under extremely adverse circumstances for which they deserve worldwide thanks and praise. By coincidence the first anniversary of Fukushima in 2012 fell close to the centenary of the loss of the Titanic. In that case the disaster resulted in 1517 deaths brought on by the hubris of those in charge of the ship and much of the British nation at that time. By comparison, at Fukushima there has been no death and the Japanese workers and management seem blameless. There are always matters for improvement and the Japanese nation are famously self-critical, but the IIAC Report seems too eager to point fingers of blame in Japan and less ready to appreciate the true source of the problem which is a missing link, a point of blindness in international thinking. Under popular pressure for nuclear safety at the time of the Cold War national governments took political refuge behind the ICRP who publish recommendations for radiation levels that should be regarded as acceptable. This means that all governments, not just the Japanese, must adhere to these guidelines, more or less, thereby providing an international top-down safety structure. As we have seen, these guidelines, designed to appease fears, are misinterpreted as safety levels by legislators and members of the public. In misguided attempts to reassure, the ICRP has tightened its recommendations, from 150 mSv per year in 1951 to 1 mSv per year for the public today. In the light of what is now known, this tolerance could be relaxed to about 1000 mSv per year without risk, as explained in the Appendix. Meanwhile, over the past 60 years in all countries the industry required to watch over these draconian safety conditions has grown, though doing no more than what society asked. Its practitioners have homes, families and careers and they have reason to guard their expertise, but, not surprisingly, it is to them that governments often turn for advice. Provision of this industry and the restrictive effect of regulations are a major gratuitous charge on the cost of nuclear technology. Many have reacted to the Fukushima accident by pressing for tighter restrictions, not understanding that this would exacerbate the problem, as well as increase costs without benefit. Others have worried that the release of radioactivity could easily have been much greater. Such an escalation would have had a negligible direct radiation effect on health, but the public panic due to inept regulations could have been even more serious. The relaxation of these regulations, and the public education to go with it, would provide the greatest improvement in public safety, not just in Japan but worldwide. Tight safety regulations, not radiation, have caused the stress and economic damage at Fukushima. Pressure to relax the safety guidance at an international level is urgently needed. Appendix: What is a safe dose and what is a safe dose rate? Showing that the biological response to radiation is stabilised in the way illustrated in Figure 1 requires both an understanding of how the biology works and some firm results for real people experiencing real radiation. Only when these two match can we be sure that we understand; data alone or ideas alone are not enough. Although there is always more to learn, the current state of knowledge based on understanding and data is good enough to establish quite robust guidance for the purpose of safety. Confidence is more important than precise numbers; safety is more concerned with getting the powers of ten correct than worrying about factors like two or three. 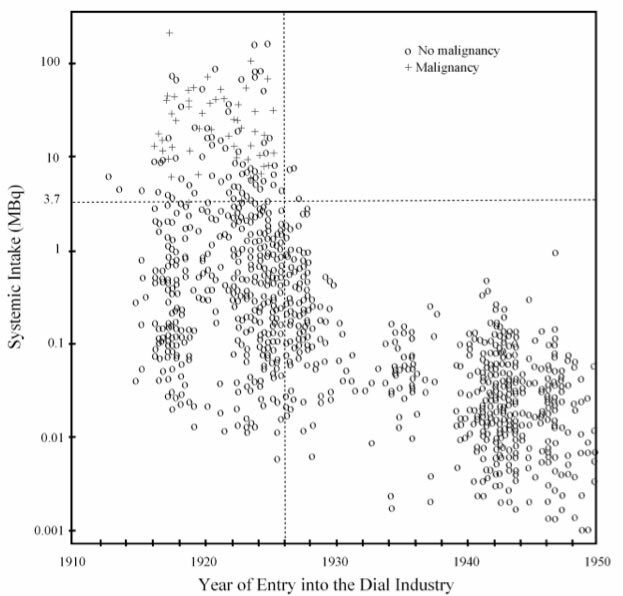 As well as confirming the picture we also need to estimate repair times and thresholds from biological experiments, medical data and radiation accidents [Radiation and Reason and Public Trust in Nuclear Energy]. Radiation doses may be either acute (for which there is no time for repair to reduce the cumulative effect of the dose) or protracted (for which stabilisation can reduce any health impact). It was established long ago that health may be affected by radiation in one of two basic ways. Cell death leading to Acute Radiation Syndrome (ARS) at a dose so high that resources are not available to replace cells that die - this may cause death with high probability on a time scale of a cell cycle for important cells, a few weeks at most. Damage to DNA that is not repaired or suppressed by the immune system can lead to cancerous growth. Typically this appears later in life, when the immune system is less effective. Radiation is only a minor additional cause of cancer and its contribution can only be distinguished statistically. For example, it was responsible for an increase of 5% cancer deaths among the survivors of Hiroshima and Nagasaki who died between 1950 and 2000. The other 95% of cancer deaths were not related to radiation. Public concern for any nuclear or radiation risk has meant that no stone has been left unturned that might expose further evidence of cancer. Often these studies have marginal statistical significance that would be dismissed in other scientific contexts. That means that it makes sense to concentrate on a small number of sources of evidence where the radiation levels are the highest and the result is quite clear without using statistics [More discussion can be found in The Fukushima Tragedy ]. The data are needed to find answers for these four cases: 1, cell death from an acute dose; 2, cell death from a protracted dose; 3, cancer from an acute dose; 4, cancer from a protracted dose. Cell death from an acute dose. The 237 initial firefighters at Chernobyl received doses up to 7000 mSv in a short period. Within a few weeks 28 were dead from ARS. Their mortality followed a stabilisation curve like Figure 1 with a threshold of around 4000 mSv. Most had less than 2000 mSv and none of those died. Data for irradiated laboratory rats are similar. Cell death from a protracted dose. A century of experience with clinical radiotherapy has shown that the cells of a tumour are killed most effectively with a protracted dose in the range 40,000 to 80,000 mSv, given as a series of daily "fractions" over a period of several weeks [Radiotherapy Dose Fractionation, Royal College of Radiologists]. During this time healthy peripheral tissue may receive more than 1000 mSv every day and yet recover, showing that, as a general rule, on this time scale doses do not accumulate towards cell death. The action of DNA repair mechanisms in a few hours is confirmed in laboratory studies. Members of the public rely on such therapy involving 20,000 mSv to healthy tissue, and usually go home to further beneficial years of life. Cancer from an acute dose. Data from the continuing study of the residents of Hiroshima and Nagasaki, who survived to 1950, have shown no significant evidence for radiation- induced cancers below 100mSv. The doses were due to acute gamma radiation and some neutrons from the explosion itself. At Fukushima most doses are due to internal radioactive decay that are protracted over a period -- and so far less harmful (see 4, below). Cancer from a protracted dose. Very few sets of data show unambiguous and undisputed evidence of cancer from steady or repeated radiation. An exception is the incidence of bone cancer among painters who decorated the faces of clocks and instruments by hand with luminous radium-based paint in the period 1910-1950. Initially the painters licked the tip of their brushes and the radium migrated to their bones exposing them to steady life-long alpha radiation. The incidence of bone cancer is naturally low and its correlation with systemic activity is evident from Figure 5 -- all the crosses '+', indicating a death from bone cancer, are above the dotted line marked 3.7 MBq; other deaths are marked by 'o'. In 1926 the link was revealed and the licking of brushes ceased and no further malignancies were recorded for new entrants. Note that this cancer threshold is 3,700,000 Bq lifelong activity in the bones, corresponding to more than 1300 mSv per year to the whole body. Use of this dose rate as a general threshold for cancer due to a chronic dose rate may seem unjustified, but the effect of radiation is highly indiscriminate; it is the damage to DNA that is important and every cell has DNA. The only differences are in the cell cycle and repair readiness of different cells according to age and function. Radium emits alpha radiation which is especially damaging but this effect has simply been ignored in the name of conservatism. A real general safety limit of 1300 mSv per year seems both cautious and reasonable. While some repair mechanisms act within a day, some cell cycles are longer and it seems right to take the more conservative repair time of a month for safety purposes. Then an acute dose limit of 100 mSv and a chronic dose rate limit of 100 mSv per month are both seen to be at or below the practical thresholds of any detectable risk. In addition, a lifetime limit of 5000 mSv has been suggested [Radiation and Reason]. The effects of radiation are indiscriminate and there is really only one special case. Radioactive iodine along with natural iodine gets concentrated in the small thyroid gland where it decays rapidly. This exceptional concentration of radiation energy in time and space can overwhelm repair mechanisms, The uptake is particularly marked among young children whose diet is iodine deficient. At Chernobyl some 6000 children were treated and 15 died, but at Fukushima no cases are expected as the diet is naturally rich in iodine, prophylactic tablets were often taken and the exposure to radioactive iodine was much less than at Chernobyl.